Downy Video Contest - Freshness talk! Create an original and innovative video showing how Downy brings freshness to a woman’s everyday life. Be bold and think outside the box! 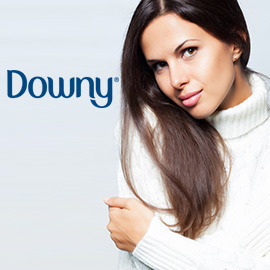 Come up with a great insight, create innovative visual cues and show us how freshness benefits the women who use Downy. Downy is a brand that entices women to experience a whole sensorial world through their clothing. Clothing is very important to women. Not only does it make them feel pretty, happy and comfortable, it also helps them relive all the happy memories of experiences they’ve had while wearing them. The challenge is to come up with a new concept (insight, benefits, visual cues) that help Downy stand out from the crowd and talk about freshness in a unique way.